Today, Shell launched Shell V-Power Nitro+ with new fuel system cleaning additives to improve the performance and fuel ecomomy of all engines, both petrol and diesel. Developed by Shell Scientists, Shell V-Power Nitro+ fuels represent the next generation of Shell's premium performance fuels. They will replace Shell V-Power Unleaded and Diesel fuels which will be phased out from today, 18 April 2013. Developed with Scuderia Ferrari, the innovation behind Shell V-Power Nitro+ Unleaded is enhanced Friction Modification Technology (FMT). The new formulation contains 25% more FMT which is designed to instantly reduce friction in critical engine areas. This helps the engine to turn more freely, unlocking valuable energy that can help lead to improved acceleration and power delivery. For diesel engines, Shell V-Power Nitro+ Diesel contains Shell's most powerful detergent technology to date. It has been specially formulated to deliver a faster and more effective clean-up of diesel fuel injection systems, which helps to restore and maintain engine power. Shell V-Power Nitro+ fuels are designed to instantly get to work in your engine from the first fill, no matter what car you drive. performance with Ferrari in the motorsports arena. For more information, visit www.shell.co.uk/vpower. 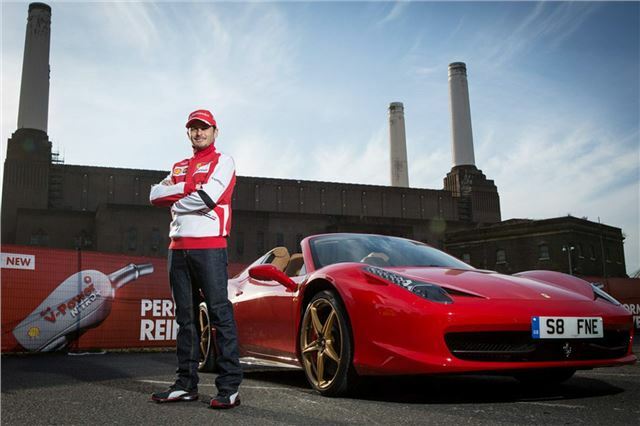 To see a demo of Shell V-Power Nitro+ in action, featuring Jake Humphrey and Giancarlo Fisichella click on this link to Shell V-Power launch at Battersea Power station. If you have a Shell card you'll get an extra 100 points by filling up with at least 15 litres of V-Power Nitro+. Taxi driver with 2008 Mk2 Octavia.My 1.9tdi HAS surprisingly improved on fuel economy .7p/litre more than normal but definitely worth it with the many short trips around town & stop/start driving.